This month, Google will launch its smartbook, a laptop-like product running Chrome OS that will compete with Windows netbooks, MacBooks, the iPad and a variety of struggling Android-based tablets. By bringing this out in the critical fourth quarter and creating further doubt around the Android platform for tablets, Google has created a huge Christmas present for Steve Jobs. The same decision undoubtedly has the executives that backed Android for tablets explaining to their bosses why they really weren’t stupid to make that choice. Let’s chat about why this is yet another Google Train Wreck. There is a lesson that most vendors seem to have to learn at least once, some more than once, and that is “don’t mess around in the fourth quarter in the consumer market.” This is the highest volume time of year, and if you confuse your customers, they will simply buy from someone else. Launching a small-run product based on the Chrome OS in the fourth quarter will undoubtedly have people wondering about the longevity of large Android-based tablets, and those people will likely either defer their purchases, or buy iPads instead (which would likely be my own recommendation at this point). The lesson Google seems to be forgetting is that in the fourth quarter, all efforts should be on selling the high-volume products already you have in market, to assure your partner’s revenue streams. If you want to mess around, bring out something new in the second quarter so you avoid damaging fourth-quarter sales. 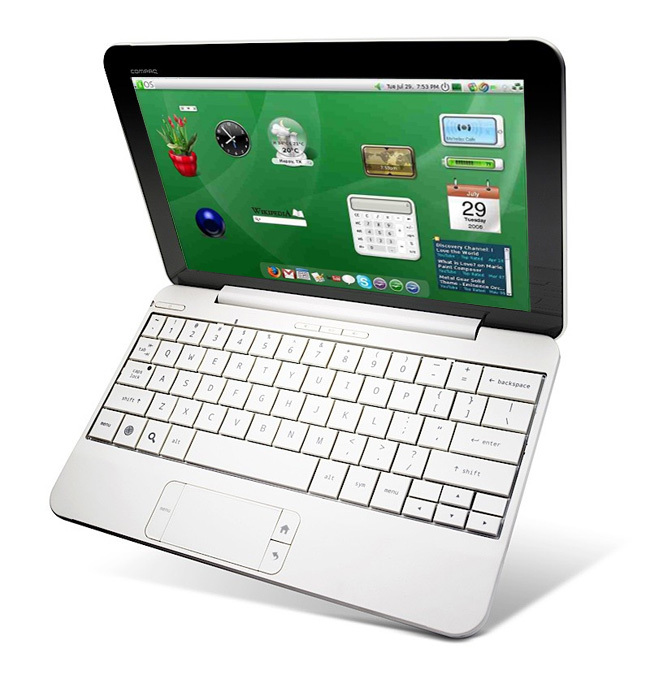 Google’s Chrome OS smartbook will effectively be an OLPC (One Laptop Per Child) PC without all of the marketing hype. The problem is that this could easily be seen as a “been there done that” offering, and bounce rather badly in market. If you look at Apple, which set the gold standard when it comes to bringing out a new class of products so far this century, the company goes heavy with marketing and builds a lot of initial lust around what is a relatively complete offering. Google is basically releasing an almost alpha-level product, with promises that much of the rest of the solution will show up next year. In effect, this product is mostly for developers, and Google wants the developers to buy the offering and then, I guess, develop applications for each other, because end users who aren’t software geeks would be fools to buy it. For a small additional fee (or if you buy an older model on sale about the same amount of money), you could buy a Windows-based netbook that would initially be both more usable and likely more reliable. So why would anyone in their right mind do this? By doing a laptop, Google is going after Microsoft’s and Apple’s legacy. This is very similar to what Microsoft is trying with Bing against Google. Microsoft has spent billions in product development and marketing; and the resulting product provides a very similar user experience to Google search with better results. After a massive effort and partnership with Yahoo, the second-largest existing search provider, Microsoft has a credible, though comparatively (to Google) small, market share. To go after both Microsoft and Apple on their home turf would require a similar level of financial investment and a better product. This new smartbook doesn’t appear to come close to either bar. It isn’t complete, and the funding level is traditional Google, in that it will pretty much give the software away for free and leave the marketing to others. Given the take-up on iPads, I seriously wonder why Google is even trying to do a notebook computer initially, but it is likely to provide the company with an alternative to using Windows and Apple products themselves. Sun tried something similar with a product called the Sun Ray One, and given Sun no longer exists as a separate company I think we can suggest this won’t end well either. From timing, to market approach, to actual execution, to demand generation, this product looks to be a train wreck which will likely do more damage to Android adoption on tablets than anything else. One of Microsoft’s historic problems is bringing out products before they are ready. Of all the practices to copy from Microsoft, I’d put this one at the bottom of any list, yet Google seems perfectly willing to repeat the mistakes from others. In the end, I think the Google Smartbook could have actually been great, but I also think Google is doing its level best to assure that it isn’t.